Google is a useful search engine but there are times when an alternate search tool would serve you better. 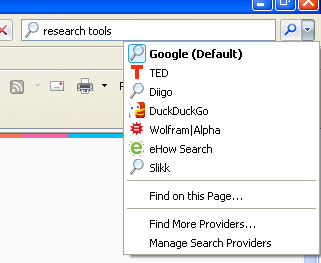 Add a range of other Search Providers in IE and now you are one click away from searching the tool you need without having to go to that site first. Choose Find More Providers Add your choices and select whether you want to have search suggestions turned on or off. Choose Manage Search Providers to put them in your preferred display order. Now when you click in the search bar, select the tool of your choice before entering your search term. Inspiration for this post came from Chris Betcher, who tweeted a link to his excellent Searching Everywhere tutorial for Chrome. Thanks again Chris. It’s time to tidy up those long web addresses you’ve been adding to documents. Are you teaching your students to provide hyperlinked documents? That’s how we are reading nowadays, so let’s teach them to write that way too. A simple way to start is to use a common word processor. In MS Word simply choose Insert - Hyperlink. Paste the hyperlink in the address field then fill the Text to display box. Add a Screen tip if you want to provide extra information about the link that the user will see when they hover over the hyperlink. If you leave the screen tip blank, it will display the embedded web address. 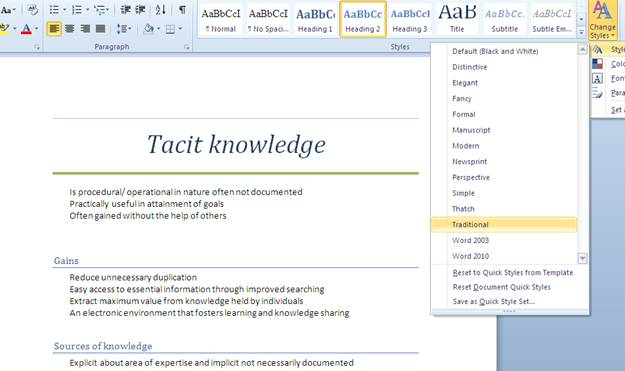 This works in the suite of Office products so if you are using PowerPoint for a class task or assignment, have the students learn how to correctly embed links to sites they have used. PowerPoint is not the place for a full scale bibliography. 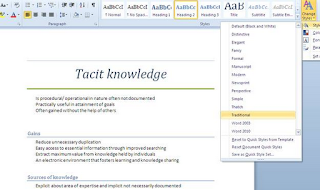 Use Insert hyperlink to tidy up links in spreadsheets and emails. Tidy up hyperlinks in documents before uploading to your LMS so that the students and parents view a cleanly formatted document. Use Insert hyperlink to provide quick navigation through a lengthy document or provide a user with an embedded email address. Once a basic understanding is reached, time to venture into the world of online hyperlinked documents. Many students will already be able to do this, but let's be sure all members of our learning community have this basic skill. Our library website also provides lots of tips on the ICT guide. Do you have old MS Word documents that need renewal? While you are busy editing the content, here’s a quick start method for updating your documents. 2. Choose the diagonal down arrow on the Change Styles icon. 4. Choose the File tab and Convert. This will provide access to all the Styles inbuilt in Word 2010. Now you can go over your document and choose Headers, Subtitles, Strong and Emphasis as needed, using the Toolbar to select each element. 5. Choose a Style from the Change Styles button. You will see the changes displayed as you roll over the choices. 6. Save as .docx Your file size will be smaller and the built in style elements enable easy building of Tables of Content for longer documents. 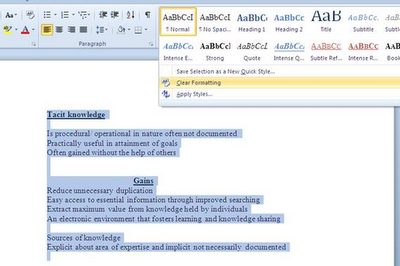 Need some MS Word help? Check with your IT folks to see if your school or organisation has an enterprise agreement that provides free access to Microsoft elearning courses. If not, there are plenty of free YouTube tutorials. Check these sites for free lessons too. 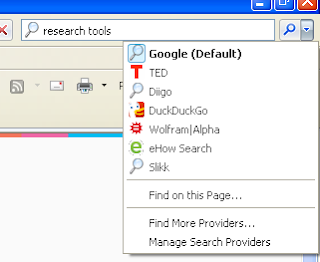 The bottom toolbar in IE has a handy tool which reveals all the directories, folders and files on your computer. To see them at a glance, turn on the Desktop Toolbar. Here's how to do it. Right click in a blank space on the toolbar at the bottom of the screen to reveal this menu. Select Desktop to turn on this useful tool. 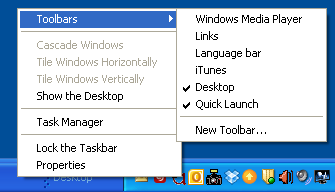 Now the word Desktop will appear on the bottom toolbar. 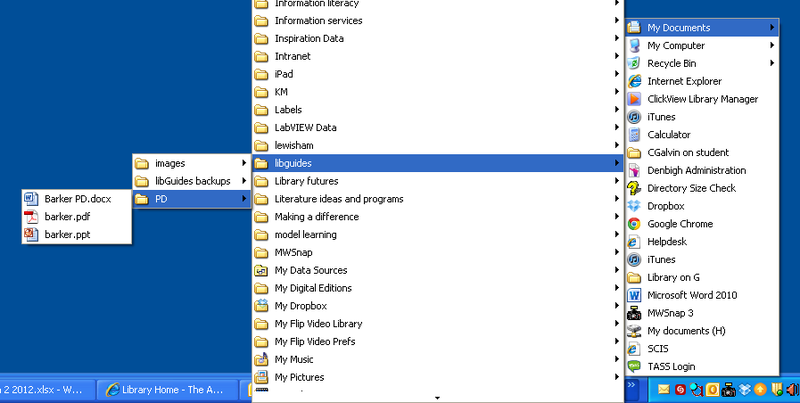 Click on the double arrow to reveal the menu, roll up to My documents or My Computer to see all the directories, folders and files on your computer. Simply move your mouse to the left to reveal files inside folders without having to click open folder after folder.